19 “Do not store up for yourselves treasures on earth, where moth and rust consume and where thieves break in and steal; 20 but store up for yourselves treasures in heaven, where neither moth nor rust consumes and where thieves do not break in and steal.21 For where your treasure is, there your heart will be also. The Lenten journey begins today. 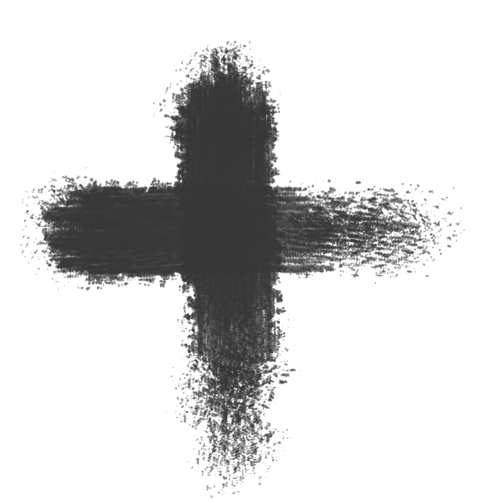 Millions of Christians will participate in some kind of service of worship at which a mark of ash will be placed on their forehead. It might be a cross or simply a line. The mark serves as a sign that one is a penitent, a person who seeks to make amends with their lives. Sackcloth and ashes were used in ancient Israel as a sign of grief, and this sign was carried into Christianity. So, we are marked – hopefully we have committed to turning our lives in a new direction. Of course, in engaging in this ritual we seem to be countermanding Jesus’ own guidelines for public piety. In these two sections of Matthew 6, Jesus calls on his followers to refrain from public displays of piety (PDP for short). If you’re giving alms, then do so quietly. No need to announce the sum of your gift. No need for a plaque. When you pray, find a quiet place – out of the view of the public and offer your prayers. Don’t worry, even if your neighbors don’t see you, God sees and hears. As for fasting, when you fast, don’t make a show of it. Don’t let everyone see how dismal you’re feeling. Don’t disfigure your face (put ash on it?). Instead, wash up and make yourself presentable. Let God determine your blessings – don’t go looking for public acclaim. Of course, egos need stroking. We all need to be told we’re doing a good job. If we’re going to be pious then surely there should be some recognition. Shouldn’t there? Jesus doesn’t think so. But then we go to church and we allow our faces to be disfigured. We may even where that smudge on our foreheads all day. Who knows, with the advent of the Selfie, we might even post a Selfie on Facebook or Instagram so our friends can see how pious we really are. Ultimately the message here is about where we store up spiritual treasure – blessings. That is, where is the heart? Is the heart pursuing the praise of the world for our acts of piety, or is the heart with God where moths, rust, and thieves will not be a threat? That is a question to be asked daily, not just on Ash Wednesday. So, let us wash up and go on our way because God is on the go!